Objective To establish the current evidence base for the use of orthotics and taping for people with osteoporotic vertebral fracture (OVF). Design Systematic review of quantitative and qualitative studies. Data sources Medline, Medline-In Process, EMBASE, AMED, CINAHL, PEDro, TRIP, EThOS, ProQuest Dissertations and Theses and Cochrane (CDSR, DARE, CMR, HTA, EED) plus Cochrane Central, UK Clinical Research Network portfolio, Controlled Clinical Trials register and the Australian and New Zealand Clinical Trials register. Eligibility criteria for selecting studies All study designs were considered if they reported in English and evaluated the impact of using an external support, such as a spinal brace, orthosis or postural tape, with adults with OVF. All outcomes were considered. Results Nine studies were included comprising two parallel-group randomised controlled trials, four randomised cross-over trials, two before-after (single arm) studies and a parallel group observational study. No qualitative studies were identified. A wide range of outcomes assessing impairments, activities and participation were assessed but the findings were mixed. The quality of studies was limited. Conclusions The current evidence for using orthotic devices or taping for people with OVF is inconsistent and of limited quality and therefore careful consideration should be taken by clinicians before prescribing them in practice. 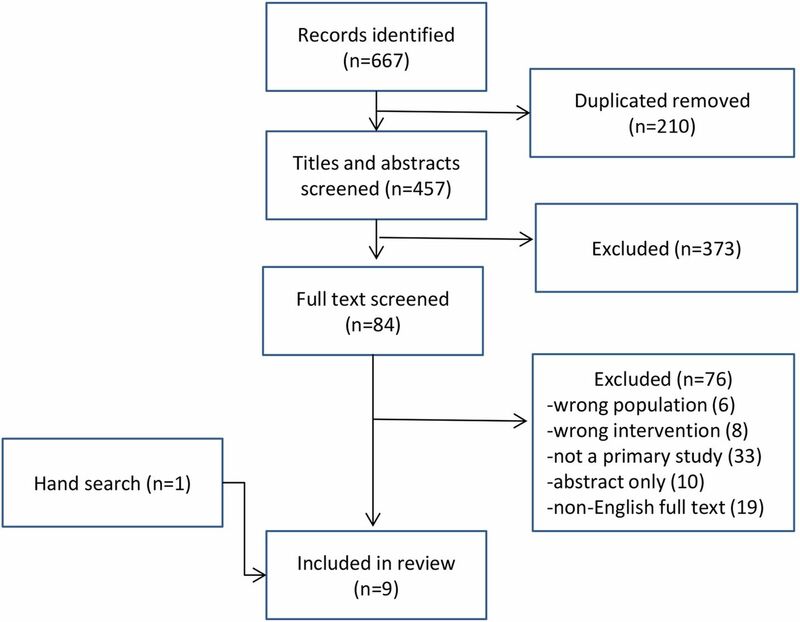 Systematic review registration number CRD42015020893. The review comprised a broad search strategy, including grey literature, to maximise the capture of all of the relevant literature. No qualitative studies have been undertaken to establish the experiences of using people with osteoporotic vertebral fractures using orthotics or braces. The included studies were generally of unclear risk of bias using the Cochrane tool. Guidelines for the non-medical and non-surgical management of OVF are conflicting. The American Academy of Orthopaedic Surgeons (AAOS)13 report inconclusive evidence in relation to rehabilitative interventions whereas the Scottish Intercollegiate Guidelines Network (SIGN)14 recommend electrical field therapy and supervised exercise programmes. There are a variety of external support devices available including rigid thoracolumbar spinal orthoses (TLSO) or hyperextension braces that are often used in the management of OVF, however, they are not recommended in current guidelines.13 Bracing is reported to assist healing when worn for up to 3 months but when worn for an extended period can result in muscle atrophy, postural muscle weakness15 and skin problems.16 This said, these devices are used by the people with OVF and clinicians continue to prescribe them, although practice varies. In view of recently published studies, this review aimed to identify and update the current evidence base for the use of orthotics and taping for people with OVF. We used the preferred reporting items for systematic reviews and meta-analyses (PRISMA) as a guideline for reporting this study. A predefined protocol was registered with PROSPERO (CRD 42015020893). We included primary studies that used quantitative or qualitative methods evaluating the impact of using an external support, such as a spinal brace, orthosis or postural tape, with adults with OVF. We were interested in outcomes relating to the WHO International Classification of Functioning, Disability and Health (ICF) domains of body structure and function, activities and participation. We were also interested in the experiences and perceptions of users of the external support. We excluded studies that involved traumatic vertebral fractures, non-vertebral fractures and those involving children, reviews and opinion papers, studies published only as an abstract and those where full text was not available in English. We also excluded controlled studies where the intervention also included surgical, pharmacological and rehabilitation interventions, except where these were provided to intervention and comparator participants. For non-controlled studies, only those where the evaluation related to the orthotic device/tape were included. The search strategy (see online supplementary file) was applied from 1980 to April 2015 to Medline, Medline-In Process, EMBASE, AMED, CINAHL, PEDro, TRIP, EThOS, ProQuest Dissertations and Theses and Cochrane (CDSR, DARE, CMR, HTA, EED). In addition we searched clinical trials databases, including Cochrane Central, UK Clinical Research Network portfolio, Controlled Clinical Trials register and the Australian and New Zealand Clinical Trials register. We also undertook forward and backward citation checking. The search and screening process was managed using Endnote. Two reviewers independently screened titles and abstracts. Full-text papers were then screened against the eligibility criteria independently by two reviewers. Discrepancies were discussed and agreed. Data were extracted using a prepiloted form by one reviewer and checked by a second. The data included study characteristics (study design, selection criteria, setting and sample size), funding sources, ethical approval, population (age, gender, time since OVF), intervention and comparator characteristics (nature of intervention, duration of wear, concomitant interventions and adherence), outcomes, time points of follow-up and findings. Study quality was assessed using the Cochrane Risk of Bias tool17 and was extracted by one reviewer and checked by a second. The data included random sequence generation, allocation concealment, blinding of participants and personnel, blinding of outcome assessment, incomplete outcome data, selective reporting and other sources of bias. Each item was rated as low risk, high risk or unclear risk of bias and reported for individual studies and across the studies. A narrative approach was used to synthesise the study findings due to methodological (study design, outcomes) and clinical (participant and intervention characteristics) heterogeneity. This approach enabled exploration of relationships within the data.18 Risk of bias was summarised for individual studies and across studies. Eight studies evaluated six different orthotic devices including rigid supports (TLSO, 3 point orthosis, plaster corset); semi-rigid supports (Spinomed and Spinomed Active); and flexible supports (soft brace) and one examined the effect of postural taping. Four studies evaluated two different types of orthotics. Controls included no brace, an alternative orthotic device (soft brace) or placebo (hypoallergenic tape). The devices were worn for between 15 min and 24 h a day (table 1). Adherence to wearing the orthotics was assessed by self-report in three studies21 ,22 ,26 although adherence was not defined. Additional data regarding individual study characteristics are reported in table 1. Two parallel-group randomised controlled trials,25 ,26 four randomised cross-over trials,21 ,22 ,24 ,27 two before-after (single arm) studies19 ,23 and a parallel group observational study20 were included. Three studies had three study arms.21 ,26 ,27 No qualitative studies were identified. Of the four studies using cross-over design, two did not report the findings from the first treatment period.24 ,27 The two studies undertaken by Pfeifer et al21 ,22 reported that almost all participants that received the intervention during the first period refused to stop using the device for the crossover. Therefore, to maintain clarity when comparing the different intervention groups in these two studies, only the findings from the first period were considered in this review. 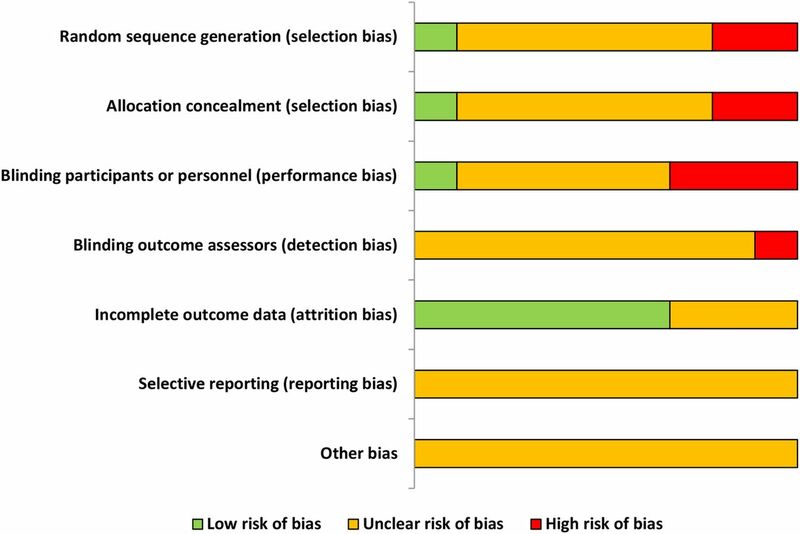 The results of the risk of bias assessment of study quality are presented in figure 2 and table 2. The reporting of studies was poor with no studies using ConSORT guidelines.28 Only one study reported the randomisation allocation processes. None had previously registered their studies or published a protocol. Four studies did not report ethical approvals20 ,22–24 and three did not report funding sources.20 ,23 ,27 One study was termed a ‘pilot’ although the aims were stated to determine efficacy.25 Four studies undertook sample size calculations.21 ,22 ,26 ,27 For the four studies using a cross-over design, additional quality assessments were made in relation to appropriate design, randomised treatment order, carry-over effect and unbiased data29 and these are recorded in table 2 under ‘Other’. Pain: Two studies23 ,26 targeted those with acute fractures using TLSO or soft brace and found no benefit, whereas those studies with those with longer term fractures reported mixed findings. Pfeifer et al reported the Spinomed device reduced pain measured using Milner's rating scale (1=low pain to 4=very severe pain). When compared with no brace they found an Absolute Difference=−1.6 (95% CIs −2.1 to −1.1), with similar findings from an earlier study.21 ,22 Valentin et al,19 however, did not find improvements in pain on a 0–10 scale (with higher scores indicting worse pain) at 3 months when using Spinomed (median difference (range)=−1 (−4.7 to 1.7); p=0.06). Li et al25 reported that Spinomed was no better than a soft brace after 3 weeks using a 0–10 pain scale (mean pain (SD) 4.0 (2.0) vs 4.5 (2.1)). Postural stability: A range of different methods were used to assess postural stability such as a force plate,27 computerised dynamic posturography24 and a sway metre.21 ,22 Each assessment method reported multiple complex components of postural stability but there were no consistent findings within or across the studies. One cross-over study24 examined the immediate effect of the brace or no brace on balance performance but did not appear to consider potential carry-over effects nor report the findings from the first time period so it remains unclear as to the actual effect on postural stability of the orthosis. Back strength: Three studies assessed the use of Spinomed on isometric back strength.19 ,21 ,22 Pfeifer et al21 ,22 reported a mean increase (SD) of 180 (152) Newtons when wearing the device and with an absolute difference of 182 (95% CI 125.1 to 238.9) Newtons compared with wearing no brace. Fracture union: Murata et al23 reported at 2 months 54.7% of participants had fracture ‘settling’; with 88.7% settled at 6 months, however, the study did not have a control group and was, therefore, not possible to establish what benefit wearing the TLSO gave over ‘normal’ healing. The reporting of adverse events was poor with only one study explicitly identifying them as an outcome of interest.20 Talic et al20 found that plaster corsets resulted in an increased risk with four patients (16%) developing pressure sores, with no adverse events related to using a three-point orthosis. The impact of orthotics on activities was evaluated using the Oswestry Disability Index (ODI),26 the Functional Independence measure, Elderly Mobility Scale and Modified Functional Ambulation Category,25 limitations in everyday life21 ,22 and walking ability component of the Japanese Orthopaedic Association Back Pain Evaluation Questionnaire (JOABPEQ).23 Pfeifer et al21 ,22 reported reduced disability associated with using Spinomed when compared with no brace (absolute difference −2.3 (95% CI −1.7 to −2.9),21 although it is unclear whether this is superior to a soft brace.25 Kim et al26 found no between group differences in ODI for those with an acute OVF when comparing TLSO (mean difference −1.88; 95% CI −7.02 to 9.38) or soft bracing (mean difference 2.41; −7.86 to 9.27) with no brace. Participation, in relation to quality of life and well-being, was evaluated in four studies.19 ,21 ,22 ,26 The SF36 domains were not improved by using a TLSO or soft brace when compared with no brace (Mean Physical component score (PCS) 32, 35 and 30 respectively; p=0.716)26 or Spinomed (median within-group difference in Physical component score=6.5, range −9.2 to 13.3; p=0.07)19 whereas the Hobi well-being scale did improve after wearing Spinomed (absolute difference=12.7; 95% CI 9.7 to 15.7).21 There was no indication that either outcome was moderated by population characteristics. This review aimed to establish the effectiveness of orthotics or taping in the management of OVF. We found that the nine included studies were of limited quality and reported varied populations, interventions and outcomes. For example, no studies reported whether outcome assessors were blinded to allocation, thus the potential for detection bias is unknown. A previous review of the non-surgical management of OVF included three RCTs evaluating bracing30 reported medium term pain relief and reduced disability; however, studies were considered to be of low/very low quality. We found little consideration of any potential adverse events associated with bracing or taping with this population. It has been suggested that adherence to wearing orthotics is poor31 but despite several included studies stating adherence data was collected it was never defined and rarely reported. In addition, there is a complete absence of qualitative research involving this population and their experiences of wearing these devices which would be an essential component of any future development and evaluation. This said, in two cross-over studies,21 ,22 the fact that the participants refused to stop wearing the orthotics at the point of crossover would suggest positive experiences. In terms of strengths, our study used contemporary methods for undertaking a systematic review and registered the protocol prospectively on PROSPERO. We searched an extensive range of databases, including grey literature. One limitation was the exclusion of non-English full-text papers, however, we are confident from our extensive search (that was not restricted to English) and screening process that any potential papers would have failed to meet other selection criteria and therefore would not have been included in the review. It could also be suggested that including non-randomised and non-controlled studies is a limitation. However, the purpose of our review was to establish the current evidence base, and not establish effectiveness, and therefore we considered it important to include all study designs. In addition, the use of the risk of bias tool enabled a judgement on the overall quality of the included studies, and we found that even the included randomised controlled trials were not without limitations. There is inconclusive evidence that TLSO or soft braces reduce pain or disability. Although the use of the Spinomed appears to have some benefit in terms of increasing back strength and reducing disability, it does not necessarily offer better outcomes when compared with other devices, such as soft braces. The quality of studies examining the effectiveness of orthotics or taping for the management of OVF is generally limited and therefore we would err on the side of caution when considering their use in clinical practice. Overall, there is limited evidence for the use of orthotics or taping either in the acute or long-term management of those with OVF. Further studies using high-quality methods and reporting are required to determine whether taping or orthotics are effective and cost-effectiveness.
. Epidemiology and public health impact of osteoporosis. In: Reid D, ed. Bailliere's clinical rheumatology: osteoporosis. Bailliere Tindall, 1993:459–77. Scottish Intercollegiate Guidelines Network. Management of osteoporosis and the prevention of fragility fractures: a national clinical guideline. Edinburgh: Health Improvement Scotland, 2015.
. Vertebral compression fractures: treatment and evaluation. S D Med 2006;59:343–5, 47.
. Cochrane handbook for systematic reviews of interventions Version 5.1.0. Chichester, UK: The Cochrane Collaboration, 2011.
. Synthesizing qualitative and quantitative health evidence. Maidenhead, UK: Open University Press, 2007. Contributions VAG, AJH and AB developed the study protocol. AH and AB performed the searches. VG and AH undertook all screening and all authors were involved in data extraction. VG undertook the synthesis. All authors contributed to the final manuscript. Funding This review was supported by a research grant from AGILE (Chartered Physiotherapists working with Older People) and also by the National Institute for Health Research (NIHR) Collaboration for Leadership in Applied Health Research and Care South West Peninsula. The views expressed are those of the authors and not necessarily those of the NHS, the NIHR or the Department of Health.